With a rapidly aging population, there are now 40 million caregivers working around the country as in-home care service providers. Given the emotion surrounding the decision, how can family members decide on care for their loved ones as they age? In-home care can provide basic daily tasks to help ensure a greater quality of life for people late in life. Below we will break down the program known as CDPAP, and what benefits it can bring to the elderly. The Consumer Directed Personal Assistance Program (CDPAP) program allows consumers to oversee all aspects relating to home care assistants whom they get to choose. Since the consumer is self-directed they are enabled to assess most needs for the personal assistants they will employ. Some common responsibilities the consumer will need to assume include research and recruitment, interviewing and hiring, management and supervision, oversight and termination. Prior to a person receiving services, a doctor will need to complete what is called a Physician’s Order for Services. The order goes to the local services district which will then complete a nursing assessment. A nurse will need to make recommendations relating to the amount, frequency and duration of the services to be offered. Also, note that if a person qualifies through home health agency services that should suffice for eligibility for a home assistant through the CDPAP program. For program eligibility, the recipients should be able to make an informed choice regarding the services they will receive. If the intended recipient is unable to make their own choice, a legal guardian or designated family member can also serve as someone to make a decision. The recipient, or designated family member, will then be in charge of hiring, training and supervising caregivers. It might also be necessary to have to coordinate other related services, such as payroll records for the caregivers. Compared to nursing home care, a personal caregiver through the CDPAP program can be significantly more affordable. 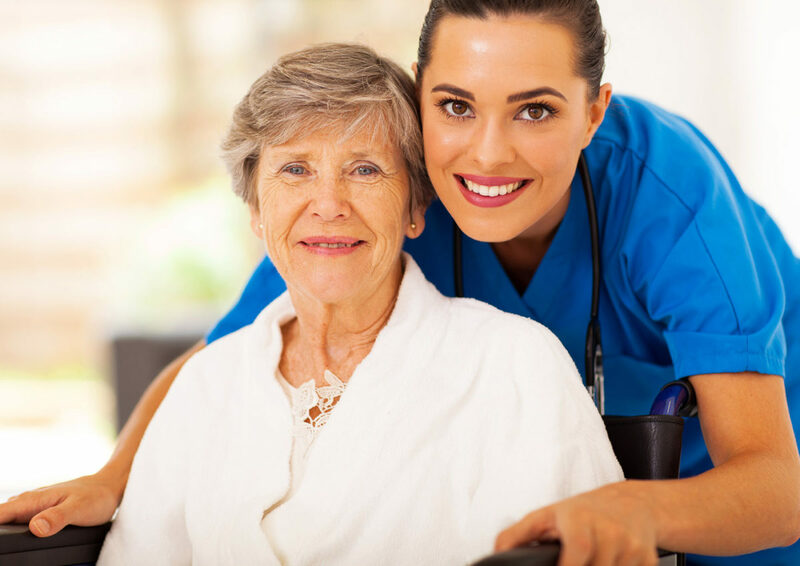 Nursing home care can often mean a lot of incidentals and extra fees, which can add up quickly. Uprooting a loved one can cause a lot of strain, and stress. A sudden change in environment can trigger high blood pressure and can complicate matters for someone who recently went through a surgery. Having an in-home care specialist through the CDPAP program allows them to build a relationship with your family member. This should lead to a more positive experience that makes everyone feel better. Most people, if asked, will state they fear the idea of having to live in a care facility. Home care allows for greater independence and autonomy. Since you get to choose the caregiver, that should provide peace of mind. If you end up hiring a friend or family member, even better as you know that person so well. The good news is if you’re a CDPAP consumer, you can hire almost anyone, within reason, to work on your behalf. Sometimes this includes friends, and family. Spouses, however, are not permitted to be a caregiver. If a parent is interested in providing care for their children, the law stipulates that the parent of an ‘adult child age 21 or older can be that child’s caregiver. A parent of a child younger than 21 cannot be that child’s caregiver’. Make sure to explain things clearly, including personal preferences, so the caregiver knows expectations. Even though the caregiver is your employee, it’s important to treat them with respect because in many ways they are an extension of your family. With the caregiver having a lot on their plate responsibility-wise, you need to take care of them and in turn they will be able to provide the care needed for your family. What is the compensation for CDPAP workers? Unfortunately, there is no set or straightforward answer as it depends on a variety of factors. To learn more contact us or feel free to give them a call at one of their New York metro area locations. How many hours of home care can a person receive? Also, a lot of variables with this question but not all CDPAP program consumers receive the same number of hours. Sometimes, a Medicaid care plan will have the final say on this. Are certification and training needed? CDPAP program providers are not required to have a license/certification. How is payment processed for the assistants? A fiscal intermediary, or FI, is a third-party organization that contracts with your local department of social services to provide payment, as part of the consumer’s plan of care. Initially, it can appear that there are a lot of similarities between CDPAP and standard home care services that also involve a caregiver. The biggest difference with CDPAP is you get to elect the caregiver to provide services as opposed to a company assigning one. Also with a private caregiving company, they might involve other employees as well, opposed to one dedicated person with CDPAP. The CDPAP program can provide much greater control and freedom for recipients. Given the emotional nature of this decision, it can be comforting to know that the person you are bringing into loved ones home is trusted – be it a friend or family member. However, you don’t have to figure it all out on your own. Take a look at the CDPAP program, with several locations in New York, for help navigating the system.